A subscription to Public Finance is an ideal business tool for anyone working in the public sector. Every week, Public Finance magazine is read by chief executives, directors of finance, heads of department, accountants and auditors working in local and central government, the National Health Service, social housing, education and charities. Public Finance magazines aim is to keep public servants up to date with all the latest information that affects their work. Produced on behalf of the Chartered Institute of Public Finance, each issue is packed with in-depth articles, news, comment and jobs making it an invaluable resource. 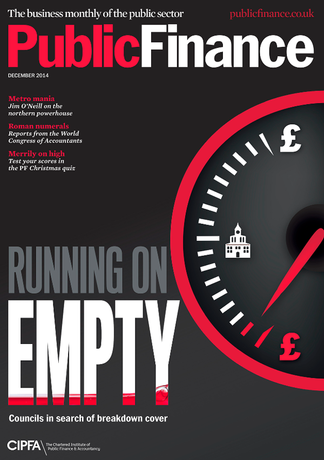 If you need to be kept informed of PFI/PPP, information technology and e-government, best value and outsourcing, asset management and pension funds, risk management, recruitment, training, debate and discussion on the public’s finances, then take out a subscription to Public Finance magazine today! Be the first person to tell us what you think about Public Finance and you'll save £2.50 on your next purchase!